The iceman, nicknamed Ötzi, was found at 3,210 metres in the Italian alps in 1991, a well-preserved natural mummy. 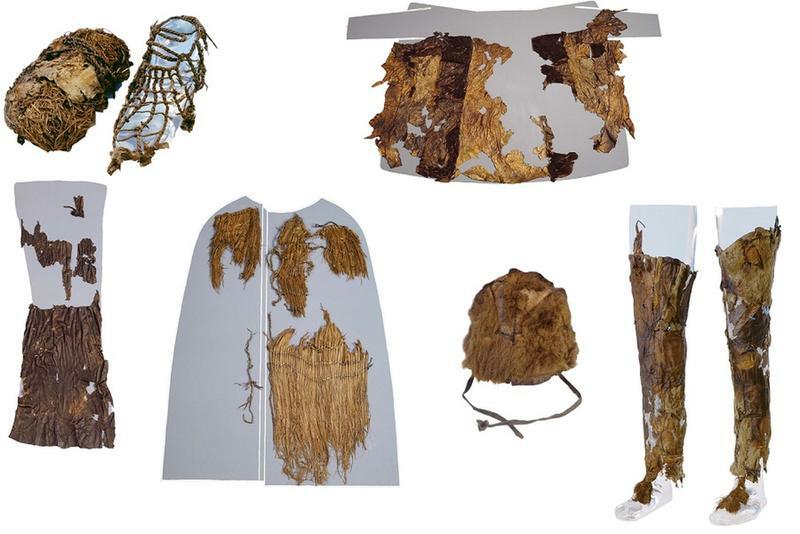 The clothes of the 5,300-year-old mummy, which include a brown bear hat, a sheep and goat coat and a quiver made from roe deer leather, are made from at least five different species of animal. In the latest research, scientists identified DNA from nine fragments of leather in the iceman’s clothes. They say the bear and deer skins in the hat and arrow quiver provide evidence of hunting and trapping of wild animals. The leggings were made of goat leather. According to a paper in the journal Scientific Reports, the lends support to the idea that Copper Age people selected species for specific attributes when making clothing.